Foundation Coffee House is the portfolio space for creative studio NoChintz. It showcases their multi disciplinary approach and experience of delivering aspirational brands and spaces. The creative studio has a focus on interior design and branding, using a holistic approach to lead the way in the next generation of commercial ventures. Activating, attracting and retaining communities which define and re-position a neighbourhood. In 2015, NoChintz opened the doors to the first Foundation Coffee House. Located a stones throw from their studio in Manchester’s Northern Quarter. ‘Built from the grounds up’ is one of the coffee shops slogans and appears throughout the space; it epitomises the journey NoChintz undertook to get the business off the ground. From the naming, branding, interiors, project management, business development to operational set up – every detail was conceived, designed and delivered by the studio team. The influences which shaped the brand and the space draw back to the design studios interior architecture practices and Manchesters industrial past. The name Foundation is literally derived from the start of any build, representing FDN Coffee as the starting point from which great things can happen – and its proving to be right! The space is littered with details such as bespoke brass ruler trims, bolt head tiling and exposed finishes which celebrate our industrial past and industrious ethos. The motto at Foundation is ‘Coffee is Everything’. 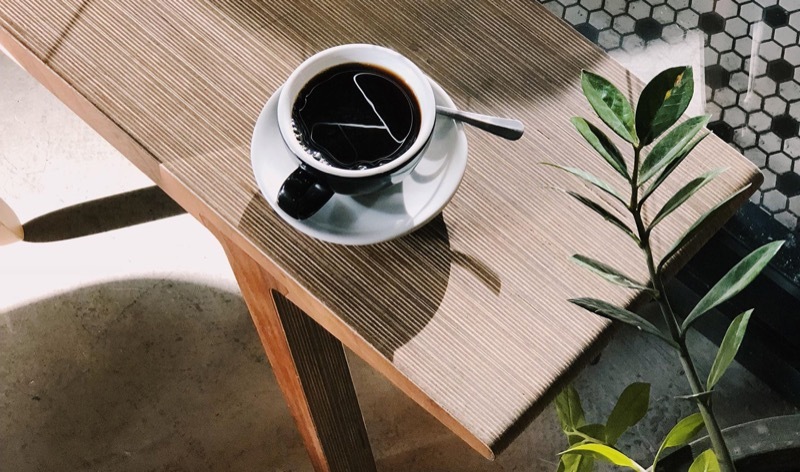 This is because coffee is at the heart of everything that the brand does, and it informs the approach to everything that FDN Coffee has to offer: with quality, consideration and constant refinement. That’s not to say coffee is all that they have on offer. Key to the brand is creating an environment where people can eat, drink, meet or shop. Design led spaces create a backdrop where people can socialise, host meetings, showcase artworks, hold workshop, learn about coffee and more with a high quality menu of the finest coffee, cocktails, brunch and cakes to compliment. 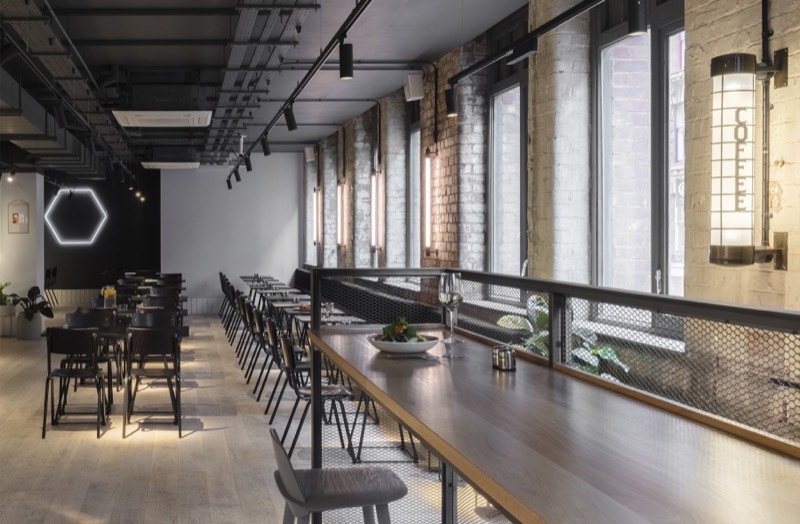 In 2018, NoChintz opened the second location for Foundation Coffee House; this time located within the ground floor of design led Aparthotel brand ‘Locke Hotels’ flagship hotel Whitworth Locke. Foundation Whitworth is surrounded by individuals whom share a passion for creating experiences which are accessible for all. Where creativity is allowed to lead and drive forwards a successful venture. Underpinned by the same focus on a coffee centred menu and packed diary of events and activations. The design is a continuation of the Northern Quarter space and tells the story of how the brand has matured and become more confident as it has established itself as one of the best coffee destinations in the North West. Considered details such as bolt head tiling, etched mottos, bespoke lighting and exposed finishes celebrate the cities industrial past and the studios industrious ethos. In 2019, NoChintz will continue to nurture and grow Foundation Coffee House, opening new sites, developing creative programming and constantly refining products and menus to ensure a leading hospitality experience is maintained which is accessible to all.